An Oklahoma-based weblog about law practice management, the Internet and technology as it applies both in law practice and in all of our lives. The New York Times Personal Tech column had a feature that will be useful to some of you who need to rearrange the apps on your Apple mobile devices: Organizing Apps Directly in iOS. As I reflected on that observation, it occurred to me that this may be the preferred method of opening any iPhone app that is not on your home screen, particularly if you are not sitting down. 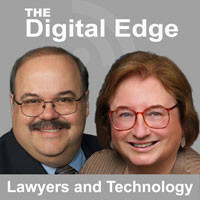 In this episode of The Digital Edge, Sharon Nelson and I talk to Brett Burney about the latest Apple products and how they can serve lawyers. Our podcast is titled The Apple Product Cheat Sheet for Lawyers and if you are unsure as to what iOS apps or other Apple products, you should be using in your law practice, this podcast is for you. Many of you already know of Brett Burney from his Apps in Law site which hosts podcasts, video and tips. Brett focuses his attention on which Apple tools will save lawyers time and effort in their business. We discussed topics ranging from Face ID to iOS 11. We also discuss the top apps that attorneys who use Apple products should download and use. This is a high quality podcast, even if I do say so myself, because Brett just loves talking about apps and other Apple products for lawyers. His enthusiasm is contagious. This podcast will get you excited about trying some new apps and we have links to the products mentioned during the podcast on the podcast home page. 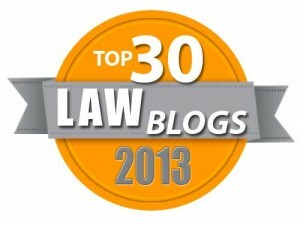 After you finish with the podcast, visit Brett's site and review his "Best Apps in Law" page. It is like Brett's own personal version of an awards show. I attended Heidi Alexander's presentation on Evernote for Lawyers at ABA TECHSHOW 2017 and thought at the time that she should be a guest on our Digital Edge podcast to talk about Evernote. As it turned out we were able to arrange that fairly quickly. Sharon Nelson and I are pleased to allow Heidi an opportunity to further showcase her expertise in our podcast Evernote for Lawyers- Manage Your Research, Marketing, and Process where she discusses basic features for the beginner and tips for the advanced users. Earlier this year, the American Bar Association published Heidi's book Evernote as a Law Practice Tool. Read some excerpts from the book here. There is even a ebook edition. I think Evernote and its now-free competition Microsoft OneNote meet a basic need for lawyers more as a free form digital notebook than as a note-taking app. I love the ability to capture web pages so I can easily find and read them later. But both of these have powerful note-taking features. Personally I like the theory of using both Evernote and OneNote, one for personal matters and the other for business. But that approach means that you may not become a power user of either program. So I'd encourage you to read all of the linked resources above and see if Evernote is the tool you can use or if your basic use can be upgraded to power user. But first, enjoy the podcast. Data security and keeping confidential information confidential is an area of concern for everyone who uses computers and the Internet. The number of online threats continue to multiply and the average computer user has to be aware of some basic precautions. For my column Client Confidentiality, Personal Privacy and Digital Security, I tried to cover a number of areas that are important for basic digital information security. Everyone can take these security steps. Admittedly some of these require some setup and a few will require changes that make your daily computer tasks take a moment or two longer than is required now. But privacy and confidentiality are important for us all and even more critical for lawyers with confidential client information to protect. All of these steps are easily accomplished by an average office computer user. No advanced information technology skills are required. If you have read a bit on end user computer security, you may not find a lot of new information here. But if you made a New Year's resolution to pay more attention to protecting your private and confidential information this year, then this column is a great starting place. Somewhere a lawyer has just gotten his or her first smartphone. Maybe they received it as a Christmas gift. Maybe they were goaded into it by family, friends or co-workers. Maybe they grew tired of being handed a spouse's phone to look at pictures posted by children or grandchildren. Maybe their flip phone just finally died. Regular readers probably don't appreciate how intimidating it would be to convert from a flip phone to today's generation of smart phones. You may not think you are a smart phone expert, but you have amassed a huge smart phone use knowledge base over the years from trial and error, doing some online researching and perhaps even some tips at a legal technology CLE program. My Oklahoma Bar Journal column, The Basics of a Lawyer's Smartphone, should be perfect for the new smart phone user, so feel free to share it if you know one of these people. And maybe, like the attendees at that CLE program, you will find something "basic" in it that you have missed as well. For those who have received new tech devices as a gift this month, your attention is directed to Wired Magazine's The Master Guide to Setting Up All Your New Devices. Our most fun Digital Edge podcast of the year is Tech Toys for the Holidays and our 2016 edition contains some great technology gadgets as well as much laughter and some sound effects added by the Legal Talk Network team. This podcast includes the links to all of the tech toys we feature which range from a really great ereader stand to Samsung phones and refrigerators to an affordable heads up driving display. We feature toys for your baby's health and travel along with toys for your pets. Surely you know someone who needs an Olfactory alarm clock. Anyway we had a great time putting this podcast together and we hope you enjoy listening to it. Happy Holidays! A New Appellate Court Opinion on "Pocket Dialing"
Yes, I know we all call it something else other than "pocket dialing," but congratulations to the Sixth Circuit U.S. Court of Appeals for using a more polite term. Huff vs Spaw (Download in PDF) was issued this week. I don't usually comment on substantive law issues, but the facts on this one are pretty interesting. James Huff inadvertently placed a pocket-dial call to Carol Spaw while he was on a business trip in Italy. He discussed the possible firing of Spaw's supervisor first with a colleague and then later with his wife. When Spaw recognized what the conversation was about she put it on a speaker phone and she and a co-worker listened for 91 minutes, taking notes and even bringing in another phone to record part of the conversation. Huff and his wife sued Spaw alleging her acts were "in violation of 18 U.S.C. § 2511(1)(a); disclosing the contents of intercepted oral communications, in violation of 18 U.S.C. § 2511(1)(c); and using the contents of intercepted oral communications, in violation of 18 U.S.C. § 2511(1)(d)." The court ruled that James Huff had no claim because he had no expectation of privacy, having failed to use available technology (such as turning the phone off before putting it back into his packet) to avoid "pocket dialing." But the court held "Bertha Huff’s statements do qualify because she cannot be held responsible for her husband’s pocket-dial." So the case was reversed and remanded to proceed with her claim. I take no particular issue with the court's analysis of this complex federal law. But this is just another example of how hard it is for the law to keep pace with today's rapid technology changes. I'm pretty sure when Congress was working on the laws for wiretapping and interception of electronic communications, no one was thinking about "pocket dialing." And the conclusion that your privacy wasn't invaded if this happened with your phone, but could be if it was another's phone is interesting to say the least. Those Hated Timesheets- Are You Still Using Them? Most lawyers hate filling out timesheets to record their billable time. Lawyers are also not perfect at accomplishing this, leading every company with a time and billing product to tout how much money can be made if only every bit of "lost" time was recorded. But the practice of recording time by hand on paper timesheets really does need to go the way of the Dodo bird. "[T]here’s one observation that I can make today with a great deal of certainty. A lawyer entering their time by using pen and ink on a paper timesheet is employing an inefficient practice that should no longer be used. You need to enter your time digitally. This means you." There are a number of reasons for this, but two major ones are 1) that lawyers need to invest the time to digitally enter their time records so they are relieved from later spending some much time proofing billing and 2) in today's working environment, lawyers need to be able to enter their billable time from any remote location by using their smart phones or tablets. I then go through several examples of how the companies involved with our Practice Management Shootout at the OK BAR all allow for remote time entry. I also link to a blog post by Brian Focht discussing other stand-alone time keeping apps. If you are still entering your time by hand on paper, you really need to read this column. Changing a deeply ingrained habit won't be easy, but I firmly believe this will result in freeing up staff time, lawyer time and producing a higher-quality bill for the client. Our Digital Edge podcast on Speech Recognition and Dictation Solutions for Today’s Lawyer was so good that I have already listened to it again. But that is not bragging because what Sharon Nelson and I did was to sign up an great expert for our guest on this topic, Britt Lorish of Affinity Consulting Group. This podcast was packed full of useful information. As someone who uses speech recognition tools daily in my work, I can assure you that not only do these tools work, but they can really increase your productivity. Britt has a wealth of information on this subject. If you are still paying someone to transcribe dictation, you may want to listen to this Digital Edge podcast. It's the holiday season and time for our annual Tech Toys for the Holidays 2014 Digital Edge podcast. Sharon Nelson and I have researched far and wide to find the most fun new gadgets and electronic devices that a lawyer might want to use for a great gift or a great gift idea hint to your own friends and family. Tune in for inspiration and awe on the direction technology is heading. Who knows, you might hear about a new tech toy you just have to have!